Both statements were deleted shortly after being posted, having quickly drawn backlash on social media. 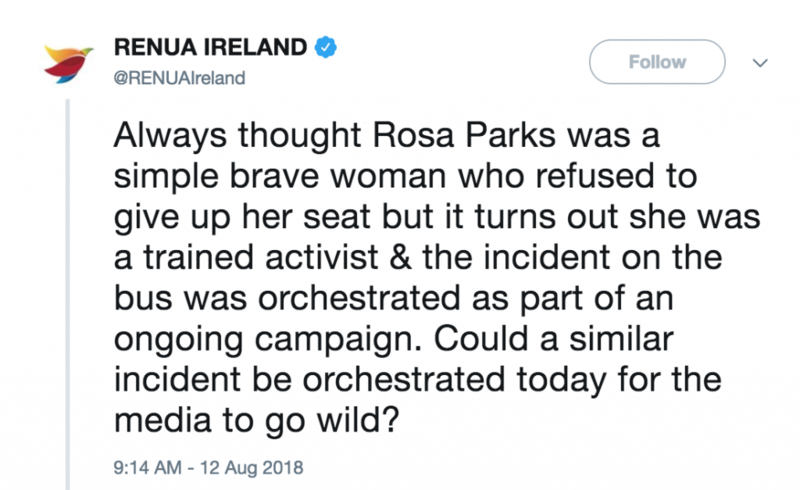 Renua Ireland took to Twitter on Sunday evening to criticise the work of famed African-American civil rights activist Rosa Parks. 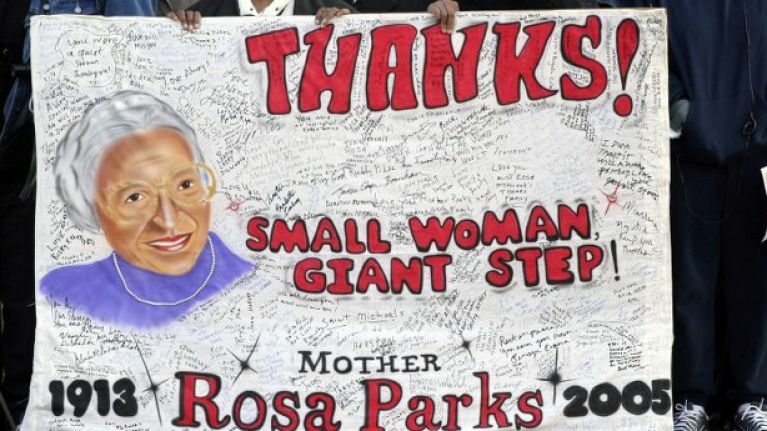 Parks, who passed away in 2005 at the age of 92, is considered an icon due to her pivotal role in the Montgomery Bus Boycott that took place across 1955 and 1956. On 1 December 1955, Parks refused bus driver James F. Blake's order that she give up her seat in the bus's designated "coloured section" for the benefit of a white passenger. Parks was arrested as a result. The National Association for the Advancement of Colored People (NAACP) would recognise Parks' defiance, urging her to challenge the discrimination in court. She become a symbol for civil rights, and is regarded today as a ground-breaking historical figure. 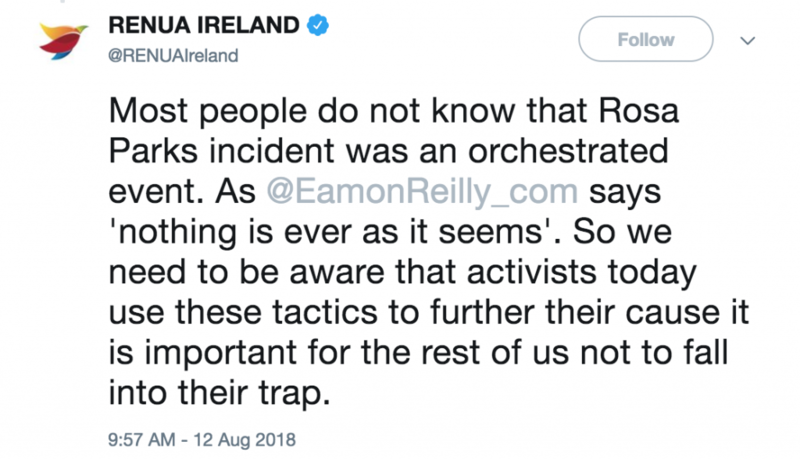 Renua Ireland, however, applied something of a conspiracy theory to the events of 63 years ago, arguing that the incident was "orchestrated as part of an ongoing campaign". "Always thought Rosa Parks was a simple brave woman who refused to give up her seat but it turns out she was a trained activist and the incident on the bus was orchestrated as part of an ongoing campaign." The Renua account then posed the question, "Could a similar incident be orchestrated today for the media to go wild?" 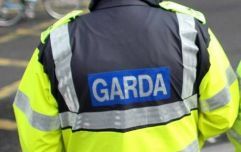 In the second tweet, Renua doubled down on claims that what took place on the bus was fabricated, citing the words of artist Eamon Reilly, a vocal critic of the Repeal movement. "Most people do not know that [the] Rosa Parks incident was an orchestrated event," read the tweet. "As Eamon Reilly says, 'nothing is ever as it seems'. So we need to be aware that activists today use these tactics to further their cause. "It is important for the rest of us not to fall into their trap," the tweet concluded. Both statements were deleted shortly after their initial posting, as criticism quickly arrived in response on social media.